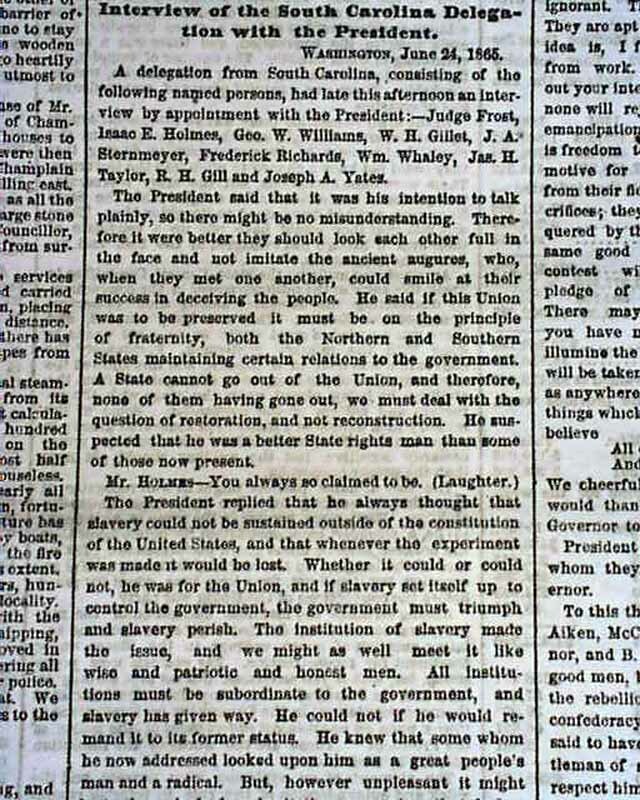 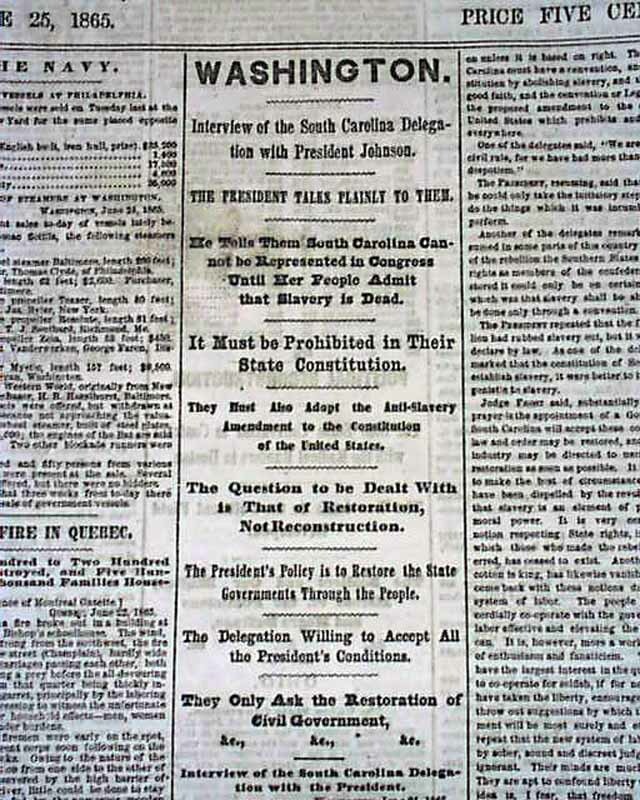 "Interview of the South Carolina Delegation with President Johnson", "The President Talks Plainly To Them", "He Tells Them South Carolina Cannot be Represented in Congress Until Her People Admit that Slavery is Dead", "It Must be Prohibited in Their State Constitution", "The Question to be Dealt With is That of Restoration, Not Reconstruction". 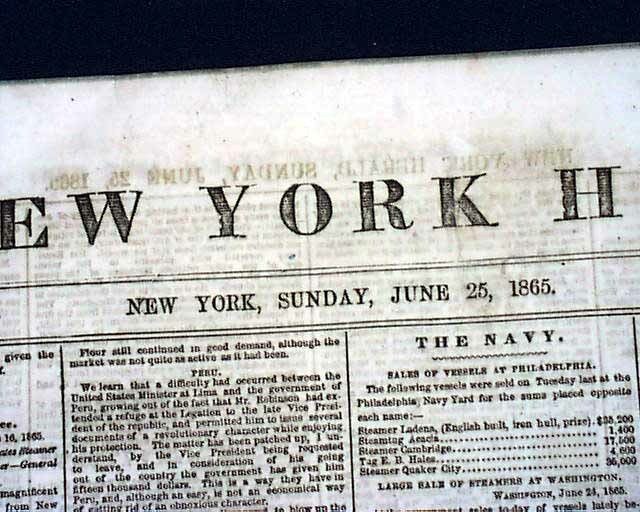 Other news of the day includes: "The Pacific" "Total Loss of the Steamship Golden Rule" "North Carolina" and more. 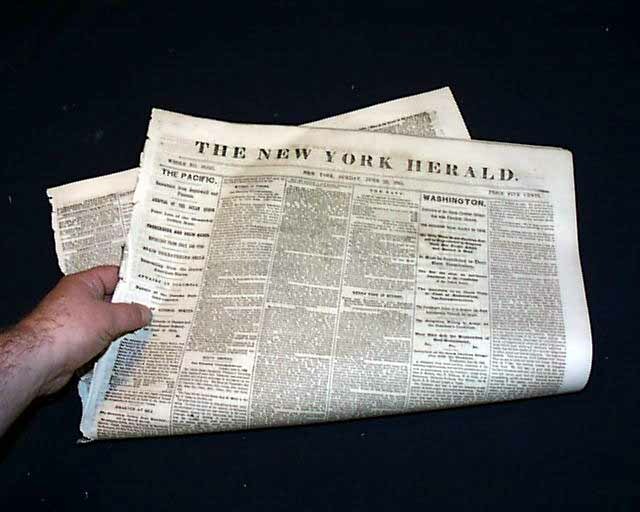 8 pages with little margin wear, otherwise in good condition.